During the war years, everyday life in Australia for families and particularly a mother’s, was not so straightforward. Tough economic conditions meant the family was often stretched financially. Providing a roof over the head,clothing and food on the table, not so easy for some. Living with the added stress that they may never see their loved ones return from war presented a very uncertain future for many families. This was the grim reality of daily life for Australian families, at the same time papers would publish stories with enthusiastic patriotism, stories glorifying the fact that whole families went to war. It is difficult to believe that these stories were welcomed by mothers as these stories were usually followed by a lengthy war casualty list or often worse, photos of young men killed, headlined, “Heroes of the Dardanelles”. A family of soldiers was not uncommon when it came to volunteering in the Australian Imperial Forces. In fact as time has passed we are now discovering actually how many members from the same family joined and the full extent of the tragic sacrifices families made. Families losing a dearly loved brother or brothers, a son and even a father and some families losing all trace of their male line. There are many powerful stories of loved ones returning home, but few stories told of the families who would have to rebound from the grief of losing not just a son but a number of son’s. Despite the patriotic drive, the sense of duty and loyalty to the Empire, it was definitely an inspiring thought to have the support of a brother or brother’s by your side and the Engineers of the 1st FCE were no exception in boosting the enlistment numbers with many of their siblings enlisting during the war. Some brothers would enlist together , side by side on the same day, just like the Howlett brothers, Cecil and Stanley from Luddenham Penrith, their regimental numbers 60 and 61. Some fathers and son’s enlisted, this was true for 153 Philip James Carmichael however his family circumstances were a little different. It wasn’t long after when his younger brother Arthur, once old enough, also enlisted, and in 1916 their father John, aged 43, slipped through the age restriction and also enlisted. They would ultimately all serve together in the same company 1st FCE in the trenches in France. 17 Frederick Pantlin had two sons, his eldest already in the Australian Naval Force and the other training with the Engineers, would later join the Special Draft of reinforcements. For the military trained McCall’s, the O.C of the company John Patrick Lawton McCall and his son John James Lawton McCall from the Royal Military Academy at Duntroon, there was never any question about joining the AIF. Others would have to wait until they were old enough to follow in the older brothers footsteps, or as the war progressed often the family receiving news of their sons wounding or worse, would be a trigger for a brother to make haste and enlist with the slim hope of avenging his brother or being there to bring him back home safely. Some families had a strong military history, 66 Norman Masters and 100 Roland McNair were from such families, the brothers in each of these families grew up with a decorated war veteran as the head of the family. A father who was proud of his service and no doubt willing to let his own son’s follow in his footsteps. 66 Norman Masters featured in the headlined article above, came from a military family, his father an 82 year old Crimean war veteran , his brother a Boer war veteran . Norman and three of his other brothers all enlisted. The eldest H.V Masters was killed in 1918, H.B Masters had over 20 years military service, serving at the front. H.S Masters the youngest would also be awarded the M.M and so happened served with the 1st FCE at Gallipoli as a member 10th reinforcements and was present at the evacuation and then onto the front with Lieut. Bachtold in the 14th FCE. THE FIGHTING McNAIR FAMILY OF RANDWICK. The Fighting McNair family was another family with an extraordinary military pedigree. The transcript from the above article follows………………………………………………………………………………..
“SERGEANT JOHN EDWARD McNAIR who lives in Tamal, Rainbow Street Randwick has five sons now in the firing line serving their King and Country. The Sergeant is an old veteran himself, having served in the East Indian Navy on the Persian Gulf station previous to its amalgamation with the Royal Navy. Coming to Australia, he settled in NSW and joined the infantry force raised during Sir James Martin’s Government from August 1871 to December 1872, when the force was disbanded. He was granted a bonus of six months pay and given the rank of Sergeant. 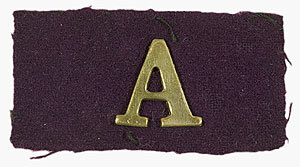 For two years the sergeant served with the NSW Naval Brigade and then put in five years with the Permanent Artillery. From this corps he took his discharge with the rank of sergeant. He took part in the Soudan Expedition in 1885 for which he received the Queens’ Medal and the Khedive Star. Sergeant McNair served for seventeen years on the permanent military staff and was discharged with a liberal bonus in 1903 having reached the age limit. SERGEANT STANLEY McNAIR 21, is at present at the front in the 6th Light Horse under Colonel Cox and was one of those who took part in the evacuation of Gallipoli. DRIVER CLARENCE McNAIR 29 is in the Australian Army Service Corps. For many of the original engineers of the 1st FCE many of them would have to continue throughout the war with either little or no knowledge of the brothers circumstances or perhaps live with the knowledge of a brother killed or wounded in action or at worse as it was in some cases witness the death of a brother. The following in addition to the above mentioned is only a summary list of many of the “originals” and their family members who also enlisted. ……………At this stage it is still incomplete but always being updated as information comes to hand. 55 Walter Freebairn a “dawn lander ” casualty, had two brothers enlist. 8397 Pte Archibald FREEBAIRN, 5th Depot Unit of Supply, returned to Australia, 1 July 1919; and 2614 Pte. Thomas Harry Freebairn 1st Pioneer Battalion. 249 Alan Alexander Wilson-Walker and his brother Pte. 7162 William Douglas Wilson Walker, both killed and did not return. 110 Gordon Wilson – brothers Alexander Herbet Wilson and Ronald Bar Wilson. 232 James ‘Jim’ Henry Hague brother Albert George Hague , a law Clerk with T.J Belbridge of Albury had enlisted and was in attached to the Infantry No. 3073 with the 33rd Battalion. 58 Patrick “Percy” Frederick Hirst M.M – brother 2nd Lt Arthur Havelock HIRST, 54th Bn, discharged, 12 February 1917 (wounded but recovered, Pozieres, France. 36 Alexander Littler – His two older brothers Ernest and Wilson were both in the 2nd light Horse and they returned safely to Australia. 24 Stanley Hense brother – 23090 Norman Charles HENSE a sapper with the Australian wireless squadron. 119 William Pitt – Brothers: 1757 Pte Henry James PITT, 20th Bn, returned to Australia, 11 January 1918; one other, returned, cannot be further identified. 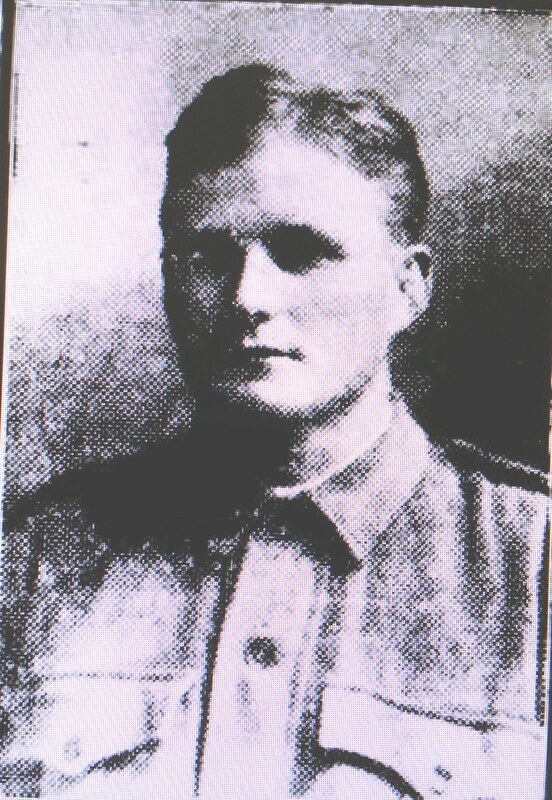 11 James Longmore – Brothers: Sapper Edward Findley LONGMORE, 12th Field Company Engineers, returned to Australia, 9 March 1919; 4829 Sapper Thomas Albert LONGMORE, 12th Field Company Engineers, returned to Australia, 12 May 1919. 136 Alfred Taylor was the first of his 2 siblings to enlist, Arthur and George Tyley enlisted looking for the great adventure. 32 James Nicholls had a brother 955 Frederick Nicholls who would ultimately transfer to the 1st FCE and later prepare a cross for James burial in France. His eldest brother Joseph Huston Fairnham was also AIF was 2329 driver. Invalided home in 1919- both parents were deceased. He was later living with his sister in 1920. He received all of his medals and correspondence. 14 Edmond Clifford Banks enlisted on the 19th August and his younger brother 2149 Sapper Julian Francis Banks followed him two weeks later. Julian became part of the 11th Reinforcement 1st FCE.Brother: 2149 Sapper Julian Francis BANKS, 1st Field Company Engineers, died of wounds, 1 March 1917. 129 Phillip Owen Ayton enlisted on the 20th August and his younger brother Walter Ayton enlisted six months later and joined the 22nd Battalion A company. Walter would later be transferred to the 1st FCE and join Phillip on the Western front. 193 Forde Leathley enlisted and his younger brother 5126 Desmond Forde Leathley a bank clerk enlisted a year later. 98 Ernest Francis Healey brother 10619 Cpl Vincent Paul Healy. 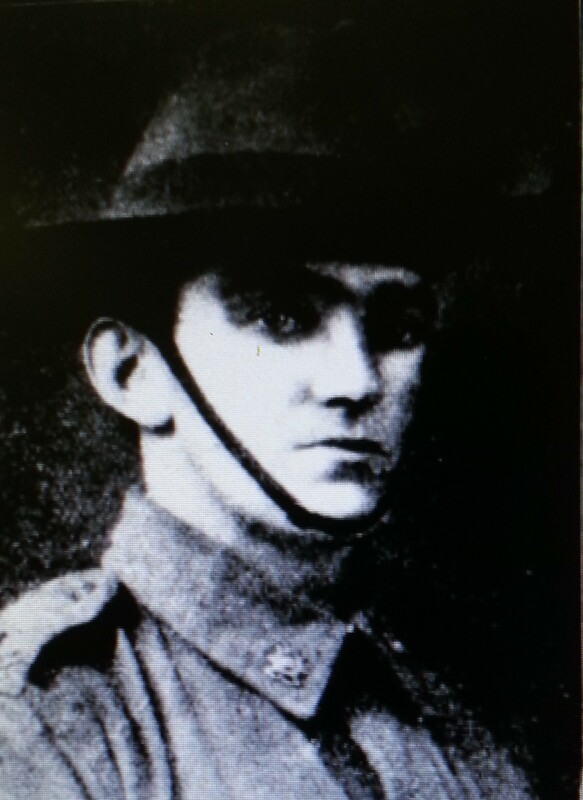 Lieut.Noel Biden -Brother: 6462 Pte William Wareham BIDEN, 3rd Bn, killed in action, Strazeele, France, 14 April 1918. 70 Cleveland Page a “dawn lander” casualty – his brother 2754 Raymond Walter Page 7th FCE. 231 Frank Somers, whom boxing’s followers in Sydney knew as Pat Summers, had Four brothers enlist. ” Two of them are still fighting the Hun.. One has been discharged an invalid, and the other is a guard at the German concentration camp, Holdsworthy.” 2890 Pte. William Joseph SOMERS 5th Field Ambulance, others to be confirmed. 178 Walter Blattman 27 years old from Picton NSW, a widower with 1 son. His brother 874 John Charles Blattman 30th Battalion and later transferred 1st FCE initially as a driver then finally ended up a sergeant. He would return home to his young son in Australia. 250 Fred Wicks – brother Pte. 1336 George Sidney Thomas Wicks KIA Gallipoli. 139 James Albert Pasfield his brothers 2190 George Alfred Thomas Pasfield and 2418 Thomas Hermin Pasfield all sappers in the Field Coy’s – all returned. Harold Norman Pasfield on reserve roll NZ. 43 Arthur A Baron Baldwin his younger brother 1377 Harry Franklin.F Baldwin died of wounds in Feb 1917 also of the 1st FCE. 208 Walter Richard Gilchrist MC – brother 2nd Lieut. A.G Gilchrist 24 th battalion also killed France Sept 1918. 144 Harold Stephen White – brother William Rowland White : SERN 1471 83337 : POB Tumut NSW : POE Sydney NSW : NOK F White William Henry enlisted in 1916. 88 George Casburn and his younger brother Frederick Norman Casburn 5342 19th reinf. 1st Batt. 39 Arthur Stock and his brother Frederick William Stock who died Ypres 25th Oct 1917. 16 Marcus Clark and his brother David Miller Clark reg. no 1933 13th Bat. 5th Rein. 115 Robert Parry Blair – His younger brother Harold also enlisted in December 1915 and was Private No 27 in the 35th Battalion, A company and safely returned in June 1919. Robert’s father John, a miner, also enlisted in April 1916, he declared his age as 44 when in fact he was born in 1862 making him 54 years old. He was Pvte. 2038- 34th Battalion 3rd Reinf. 142 George William Hulme and his brothers – 26 yrs Alfred Archibald Hulme 6743 and 6742 – 27 yrs Harold Edward Hulme. both 14th Battalion. 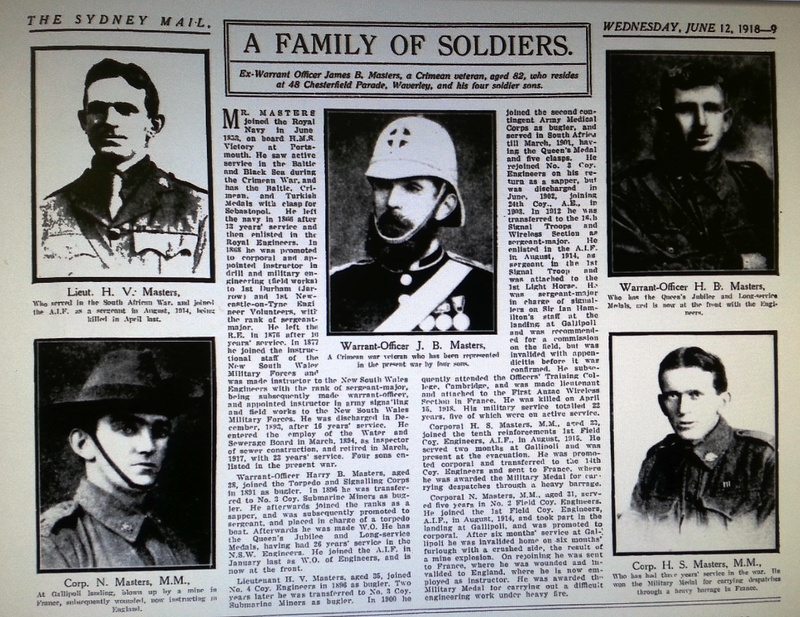 article: NLA on “ A Family of Soldiers “ Sydney Mail June 1918.